My brain is in “Yearbook” mode, after my previous post about the clippings I’d found in an old yearbook, and I realized that I hadn’t shared any wonderful links to sites where y’all can actually look for yearbooks! I’m going to start out with the best site I’ve found, because it took some hunting to find one that I could actually recommend. Classmates.com(r), while they do offer subscription services, you can look through all of their online digitized yearbooks for free (although you will get bombarded with ads). They have a huge collection, of 250,000 yearbooks from over 200,000 schools. Sign up for a free account, or sign in using Facebook, then click the “Browse Yearbooks” button along the bottom of the page. Once you narrow down your choices to a yearbook you’d like to look at, you’ll be able to scroll through full color, full page images. I found my high school freshman pic! from a school administrator to have their school’s yearbook included. The site looks promising, and hopefully will continue to add more yearbooks and remain free. AccessGenealogy.com has a nice collection of yearbooks, and they are completely free to search and to view. They aren’t really easy to find however. You may simply search “Yearbook” and peruse the 227+ results, or add other keywords to your search (i.e., college, high school, Arizona) to narrow it down. CyndisList.com has 167 links in the category of Schools > Yearbooks and Annuals. One private, but free, website is National Yearbook Project. A list of US states runs down the left side, which, when clicked, will take you to that state’s page, listing school yearbooks available online, by county. My second favorite is the ever-amazing Internet Archive site. Just type “yearbook” in the search bar to pull up 21,000+ results. Narrowing the search to “high school yearbook” still brings up 4,327 results. You may further winnow your search down by locale or school name. Linkpendium.com is always one of my first go-to sites, and of course they don’t disappoint this time either. You’ll need to go through their directory-style index, choosing State, then County, and then look under “School Records and Histories” for available yearbooks listed. Some may link to pay sites, but many link to free sites as well. Ancestry.com has a collection of 51,000 yearbooks from 1880 to 2012, scanned, indexed, and searchable online. Search for free, but, as is usually the case, you need a membership to peruse the results. One more item to remember to search when you’re at your library or Family History Center. I searched for my own name, and the only one I found was from a college that I’d almost forgotten I’d gone to for one semester (and of course didn’t buy a yearbook). GenealogyToday has a good-sized collection of school records and yearbooks cataloged and indexed in their Subscription Database collection. Searching is free, but access to the detailed information requires a paid subscription to the site (currently a bargain at $32.95/year). 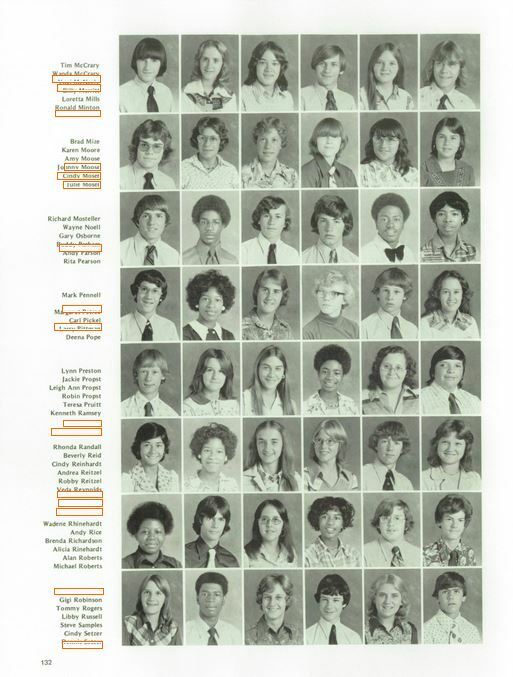 WorldVitalRecords.com has a good-sized collection of high school and college yearbooks. You can find it in their card catalog and search to see if one you are interested in is there. WVR is owned by MyHeritage, and is yet another subscription site. E-yearbook.com looks promising – It is a subscription site, but only $19.95/year. It is a family owned and operated company, and not yet another Ancestry offspring. Additionally, 20% of revenue generated goes back to the schools in their yearbook digitization program. Searching is free, and the search results will actually show you the full color yearbook pages, so you know what kind of information you may have available to you. Old-Yearbooks.com is another free searchable site and although the name sounded very promising, it was no surprise to discover that searches ultimately lead back to Ancestry.com. and I found my husband’s pic too, on the other side of the country! 1941 Woodrow Wilson High, Dallas TX is just one of the Yearbook reprints available on Amazon.com. Disclaimer: This page contains affiliate links which help support this site. As always, however, I only include products or services that I personally find of value and use. Do you have 1981 OU Law School Advocate annual/yearbook for sale? Sorry James, I don’t have any yearbooks for sale. The article does mention some sites that may have the images online though. Do you know where I can find elementary school yearbooks at? Off hand, I do not know. I would wonder, though, if the schools themselves, or perhaps the school district, might know where to find them? Classmates keeps “improving” their site and are really damaging their brand. Their latest change is on the actual yearbook sites where they’ve eliminated the option to type in a page # so you can get there instantly, and they’ve removed the option to zoom incrementally. Now you have a single zoom option and the single page ou are viewing is still barely readable. The layout used to be two pages which you could scroll back and forth and up and down. Now you can drag A SINGLE PAGE somewhat, but a full third of the page display is taken up by options (search, zoom +/-, Grid view (four page grid (can read much), Page view (single). I don’t believe I will be renewing. Some components of Classmates have gotten better. Many have gotten worse. One biggie is the maximum number of choices when searching on a name, 500. If you search for a name with, say, 2000 choices, only 500 of those can be accessed. You are presented with ten options per page, but only 50 pages. Now that may sound like a lot, but what becomes of the additional 1500 inaccessible names? I realize there must be a limit, but 500 is unrealistic. Another problem is its display. For some reason, the print is so small on some pages, a magnifying glass is almost essential. Unfortunately there may be no good solution for this problem except, perhaps, providing more than a single “zoom out” option. There’s more, but that’s for a another time.